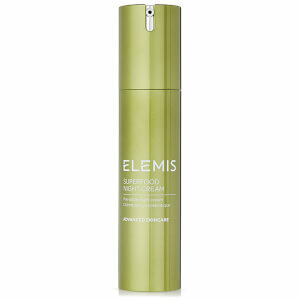 Treat your skin to the intensely nourishing properties of Elemis Superfood Facial Oil, a 100% natural treatment that works to re-energise and 'feed' your skin with essential superfood nutrients. Infused with a cocktail of aromatic essential oils, concentrated superfoods and naturally moisturising ingredients, the oil promotes a brighter, more radiant and youthful-looking complexion. Its combination of antioxidant and fatty acid-rich Broccoli Seed Oil and moisture sealing Flaxseed Oil work in synergy to hydrate and soothe the skin, whilst easily absorbed Daikon Radish melts deep within to nourish from the inside out. Expect a soft, supple and revitalised complexion. Free from parabens, artificial colours, SLS/SLES, DEA and mineral oils. Massage 3-4 drops over the face and neck every morning. Use alone, or before your daily moisturiser. If contact with eyes occurs, rinse thoroughly. Apply 3-4 drops in palm of hands, warm and inhale the beautiful aroma. Cup hands and place on face, avoiding eyelids. Pat onto the face, neck and decollete. Gently place hands onto chin and sweep alternate hands along the jawline to the ears. Slide hands to nose and glide across cheeks to the temples. Slide fingers under the eyes to the bridge of nose and then to the forehead. Glide from the centre to the temples. Glide hands down the side of the face and apply from the base of the neck to the tip of the chin using upwards, sweeping strokes. Return to the temples to finish. Save 3 for 2 on selected Elemis. The cheapest item will be discounted at the basket. Offer valid for a limited time only. 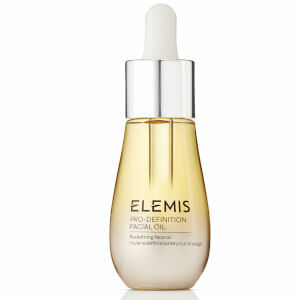 I was looking for a good facial oil for my dehydrated skin and decided on Elemis after reading the rave reviews. Alas, it was only oily but did nothing to hydrate my skin. It's very expensive too. Certainly not getting it again.